New from the ground up, the 1955 Dodge Custom Royal Lancer was Flair-Fashioned and alive with beauty! In fact, more than one automotive writer called it the most beautiful car of the 1950’s. 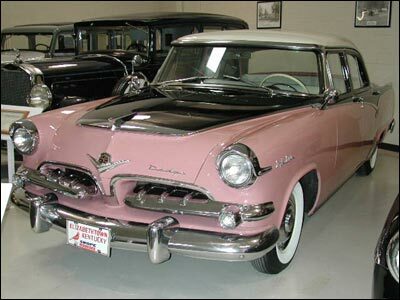 Coming on the scene at the time America was modernizing its highway system, the 1955 Dodge was a powerful and thrilling car to drive on the interstates. Many families still look back longingly to wonderful trips on those brand new interstate divided, limited access highways…in their luxurious 1955 Dodges, of course. Aside from some minor cosmetic work, this particular Dodge is unrestored. With only 54,820 miles on the odometer, the car has retained much of its original new car look and performance.